I admit you have to be a super car nerd to find this cool but it really is cool! Honest! 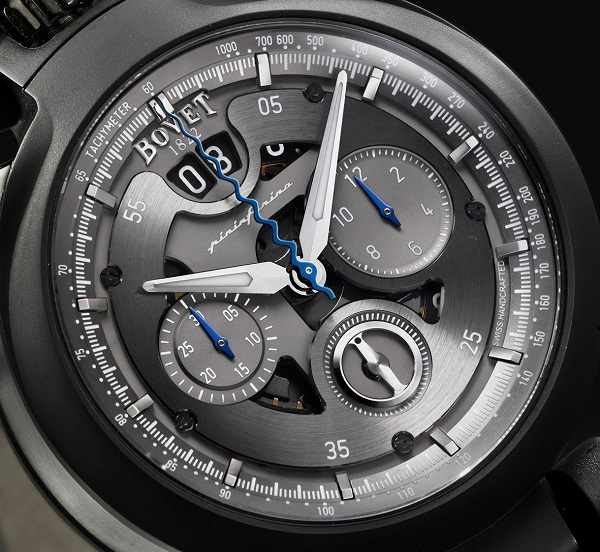 What you’re looking at is a chronograph (watch) collaboration between Bovet, a Swiss watch maker and Pininfarina, a Italian design firm most commonly known for designing several of the most popular modern Ferrari’s. As you may have guessed the Chronograph Cambiano is assembled by Bovet but was designed by Pininfarina. If you really look at the time piece you can see a hint of the design sense that Pininfarina applies to their automotive design. Or I could just be imagining that because I am having a huge car-nerd-gasim over this watch. You be the judge I suppose.. By the way if you want one of these it is going to set you back about $20k!